Sometimes you get one chance to capture an image that will last only a fraction of a second. This photo captures one of those times. 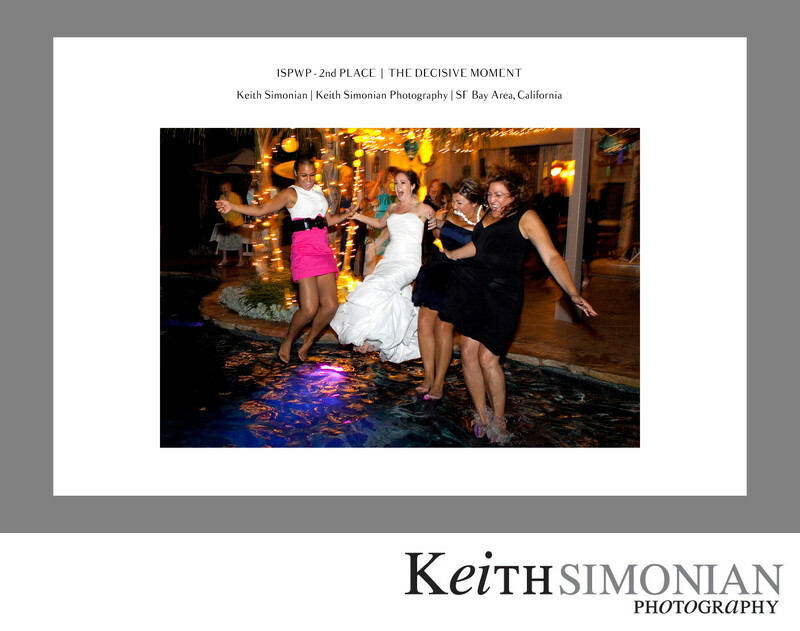 Because of the darkness in the backyard and the fact the bridal party would be moving somewhat quickly using a flash to capture this image of the bride and her bridesmaids jumping in the pool would be required. The trick to using flash at night is to not over power the ambient light, but still have the light be bright enough to stop the action. This photo does both as the action is stopped with the toes of the ladies just above the water while still showing the background of the image.